Are You Eating These 8 Nutrients That Block Cancer Metastasis? You are here: Home / Nutrition / Are You Eating These 8 Nutrients That Block Cancer Metastasis? Diet plays a major role in both the prevention of cancer and the contributing factors of cancer growth and cancer metastasis. In fact, 75%-85% of cancers diagnosed in one study in the United States showed that unhealthy lifestyle factors were the primary causes of these diagnosis and may have been prevented with improved dietary changes. Researchers believe that 30% of deaths associated with cancer today can be prevented from diet alone. Evidence links plant-based foods with some of the best known chemoprotective (cancer-preventing) properties. The phytochemicals they contain interfere with cellular communication that triggers inflammation and stimulates the progression of cancer in the body. The following 8 nutrients are some of the best dietary compounds you can introduce into your diet daily to inhibit the spread of cancer. Incorporating foods containing these nutrients will help starve cancer growth, substantially reducing your risk of developing cancer and may even reverse the progression of cancer that has already spread. Ursolic acid is a plant oil and phytonutrient. It is found in herbs like holy basil and oregano, the skin on apples, and bilberries. One of the key characteristics of cancer cells is their ability to disable the normal mechanism of cells to undergo apoptosis. This programmed cell death also referred to as cellular suicide prevents abnormalities in cells from multiplying but is turned off in cancer cells. Disabling apoptosis contributes to the activity of cancer to metastasize and promote tumor growth. An increase in dietary ursolic acid is associated with the treatment of cancer pertaining to the pancreas, cervix, lung, colon, skin, and breast. Ursolic acid has been shown to disrupt cancerous activity by destroying the survival mechanisms that cancer cells are reliant upon. For instance, ursolic acid turns on apoptosis thus inhibiting the replication of damaged DNA and cancer metastasis. Vitamin D is critical to the production of a cancer-fighting protein called GcMAF. GcMAF inhibits cancer metastasis and even has the capability to reverse the devastating effects of cancer on the body. Receiving a healthy dose of vitamin D daily supports GcMAF synthesis and consequently shuts down pro-cancer receptors and enzymes that encourage metastasis. Another protein linked to a reduction in cancerous activity is DBP-maf (vitamin D binding protein-macrophage activating factor). DBP-maf directly stimulates the immune response by suppressing blood vessel growth (angiogenesis) required for cancer cell migration and tumor growth. DBP-maf requires vitamin D for transport through the bloodstream. Vitamin D intake is shown effective at inhibiting the growth and development of tumors including its metastasis associated with prostate cancer, colorectal, breast cancer, and melanoma. Increase your vitamin D levels by exposing your skin to sunlight daily without added sunscreen protection. Add vitamin D-rich foods to your diet including wild caught salmon, organic and pastured eggs, mushrooms, and fermented (not pasteurized) dairy or whole milk from grass-fed cows. Curcumin is the compound that gives turmeric its yellow color. It is a powerful antioxidant that can prevent and treat diseases associated with chronic inflammation like cancer. Curcumin has been traditionally used as an herbal remedy in Chinese and Indian medicine for a variety of health ailments. By regulating apoptosis and inhibiting cancer cell growth, curcumin is included in numerous medical products as a therapeutic agent to support a healthy immune system. Curcumin is shown in studies to act as a potent free radical scavenger. It also blocks the production of TNF (tumor necrosis factor) which increases pro-inflammatory signals and stimulates tumor growth. Curcumin has been demonstrated in clinical studies to inhibit the proliferation of cancer cells and metastasis associated with a variety of cancers. These include breast, uterine, ovarian, kidney, bladder, renal, brain, leukemia, colorectal, liver, pancreatic, lung, and non-Hodgkin lymphoma. Add curcumin to your diet by incorporating the spice turmeric into marinades, soups, chili and stews, herbal teas, or a preparation of what is called “golden milk” (a combination of the yellow spice turmeric along with coconut milk and/or coconut oil. The cancer-preventive effects of EGCG (epigallocatechin-3-gallate) has been closely studied for almost three decades now. EGCG is a polyphenolic compound that is commonly known for its concentration in green tea. It is one of the primary nutrients associated with improving health and healing in ancient Chinese medicine. Consumption of EGCG is believed to suppress tumor growth associated with several tissues in the body such as the prostate, bladder, intestines, liver, pancreas, lungs, and oral cavity. Although many of the biological pathways that this nutrient influences to inhibit cancer metastasis remain unknown, it has been recently discovered that EGCG binds to a protein receptor, 67LR, responsible for cancerous activity. By attaching itself to this cancer-causing protein, EGCG inhibits metastasis by preventing angiogenesis responsible for cancer cell migration. EGCG also induces apoptosis supporting the destruction of cancer cells. The high EGCG content in green tea exhibits various ways to promote health of the whole body. Research indicates that daily green tea consumption improves gut microflora which is essential to optimizing the health of the immune system. Coupling a healthy whole foods and plant-based diet with at least one cup of green tea daily can support your fight against chronic diseases and prevent the spread of cancer in your body. One of the best chemoprotective nutrients that prevents the formation of free radicals and growth of tumors is sulforaphane. This nutrient reduces inflammation and protects against cancer growth by boosting the body’s natural detoxification pathways to eliminate toxins and support the immune response. Sulforaphane is shown to fight the spread of cancer by inhibiting the activation of cancer cells. Sulforaphane inhibits metastasis of cancers associated with the spleen, colon, prostate, stomach, and breast. Broccoli sprouts are one of the best foods to eat to inhibit the spread of cancer in your body. 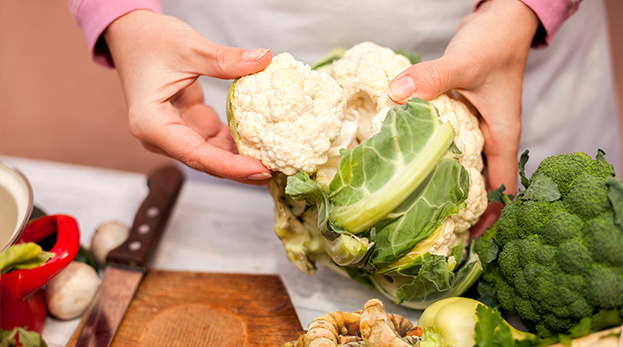 Other excellent food choices are cruciferous vegetables like cauliflower, broccoli, Brussels sprouts, and kale. These foods are also high in chemoprotective nutrients glutathione, amino acids, chlorophyll, and a variety of other vitamins and nutrients to improve health. Quercetin is a super antioxidant that stimulates the body’s natural detoxification pathways and exhibits natural anti-cancer properties. High intake of quercetin in an individual’s diet suppresses cancer cell proliferation, reduces oxidative damage, and inhibits the activity of a mutant gene associated with tumor growth known as P53. This dietary flavonoid shows promising evidence in treating breast cancer, leukemia, lung cancer, neuroblastoma, and colon cancer. Foods high in quercetin include onions, capers, blackberries, raspberries, black and green tea, dark cherries, cocoa powder, kale, apples, and herbs like sage and parsley. This flavonoid exhibits chemopreventive properties by inhibiting the invasion of cancer cells to new tissue and the growth of tumors. Apigenin reduces free radical activity and aids in the elimination of toxins from the body. It has been extensively used to maintain the health of the stomach, kidneys, liver, and blood. The protection against cancer cell migration is one of the best influences apigenin has on preventing cancer metastasis. Researchers have even found that topical treatments containing extracts of apigenin are effective at suppressing the growth of skin tumors and reducing the signs of damage associated with UV exposure to the skin. Apigenin is found in many fruits and vegetables like grapefruit, onions, and oranges. It is also found in beverages sourced from plants including chamomile teas. Parsley is one of the best dietary sources of apigenin that you can easily add to your diet. Consider juicing parsley, adding it to salads, and flavoring your favorite dishes. Another anticancer flavonoid present in a plant based diet is luteolin. Luteolin is found in green peppers, chamomile teas, and celery. Its antioxidant effects are shown to protect the lungs, liver, and heart tissue from inflammation and exhibit protection against the degenerative effects of cancerous activity. Despite the extensive investigation into the chemoprotective effects of luteolin on the body over the past half millennium, not all of its biological health benefits are known. Scientists are certain however that these citrus flavonoids, luteolin and apigenin, are generally found in low concentrations in foods but exhibit a greater effect at preventing metastasis than do common dietary compounds. Luteolin inhibits the activation of cancer cells by suppressing pro-cancer enzymes, blocking the accumulation of carcinogens in new tissue and supporting the elimination of toxic agents. Consequently, luteolin is an effective dietary antioxidant that produces an anti-proliferative and anti-metastatic effect on the human body. Avoiding processed foods, sugars, and conventional meats and dairy products that break down your body’s natural immune defenses is critical to your health. Eat to starve cancer by feeding your body the 8 nutrients listed above to stimulate apoptosis in cancer cells, prevent angiogenesis and consequently inhibit tumor formation and cancer metastasis to other areas of the body. Want to stay abreast of new ways to stay healthy? Be notified each week when cutting-edge articles are added by clicking here. You’ll be glad you did. Diet plays a major role in both the prevention of cancer and the contributing factors of cancer growth and cancer metastasis. Researchers believe that 30% of deaths associated with cancer today can be prevented from diet alone. The phytochemicals in plant-based foods contain some of the best known chemoprotective (cancer-preventing) properties. Curcumin, inflammation, and chronic diseases: how are they linked? Awesome site!! Thank you for sharing. My mom is a 3 time cancer survivor. This last cancer 2 yrs ago was Stage 3C Esophageal cancer and 13 lymph nodes in the abdomen. I started my mom on Father Romano’s aloe regimen. I suggest if you do this, you buy local honey from the city in which you live, or use Manuka honey. Make sure the Manuka honey is from New Zealand. I also had her on turmeric with curcumin & Black seed oil. 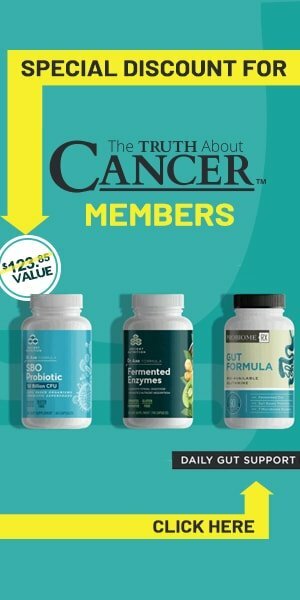 My mom was in this until she started chemo, but even before she started her first round of chemo treatment, the Dr checked her markets and with the regimen I had my mom on, her markers dropped 50%. I truly believe cancer can be cured with unconventional treatments. Today, my mom is cancer free, 2yrs now in remission. Also, to any patient who is looking for Dr’s, never settle! We were not happy with Dr’s that we went to see for treatment at Mayo Clinic or the University of MN. My mom wanted to give up. One Dr at the U of M told my mom she would “cut her like a deer” my mom is a 3 time cancer survivor. To all battling cancer, never give up! Praying for you all & it’s so great to here so many stories of those who are beating cancer! !